Kjell is a foam shape on wheels with an ambiguos expression. It is similar to both animals and objects at the same time as it is something of itself. The small wheels made of hard plastic slide sideways almost as good as it rolls, allowing a sliding movement similar to being on the ice. The free movement stimulates children's motor skills, and with its form it stimulates childrens imagination. Kjell acts as both a playmate and furniture. 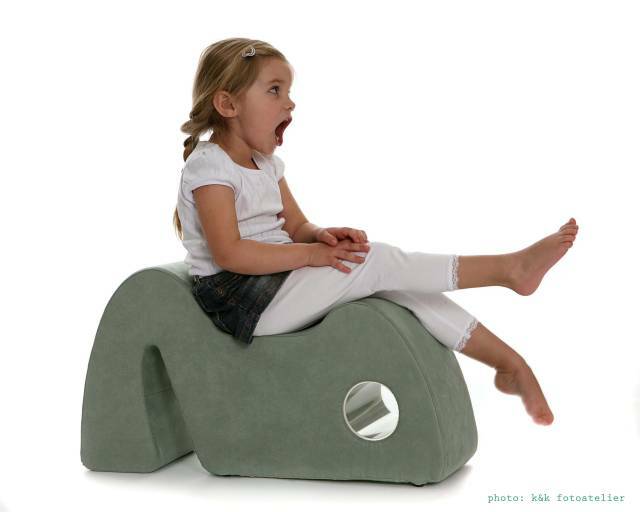 The shape allows for a variety of sitting possibilities as the sitting aerea is relatively large and flat, and it has flat sides. This also makes it easy to store and transport. Kjell has a transparent box in the "belly" that kids can take out and fill with items of their choice. 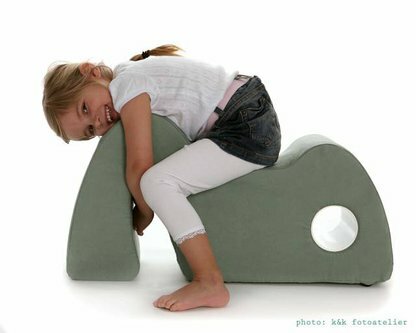 A window to see through and at the same time a hole in shape, helps to create a special relationship between the child and furniture. 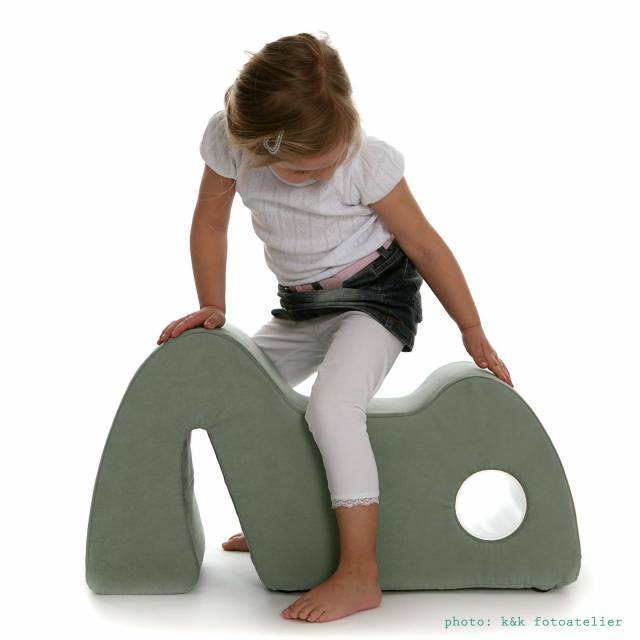 Children are collectors, and when they get the chance to put their things into the furniture it strengthens the relationships further. Kjell is made from polyurethanfoam and upholstered with a microfiber fabric that is water resistant, washable and durable.